Connecting with the village in your pocket. I heard through the Tweetvine that Twitter, Facebook, and YouTube are changing the world, creating entirely new ways of reaching customers and doing business. I’ve thought about this a lot, but I’m not buying it. Not entirely, at least. Oh sure, things are changing–social networking lets you connect with a finely tuned group of people no matter where they are. You’re with them just about everywhere they go, on their computer and on their phone. But social networking and new media are just tools that help us do the same things businesses always have. The true power of these tools is to create not just electronic connections, plugging us all in, but to build the trust and relationships that good businesses are built on. That part hasn’t changed at all, and that’s the piece that is often missing. Every business needs to achieve a few simple things–have something to sell, let people know about it, and then sell, baby, sell! But successful businesses are about more than transactions. A transaction with one purchase is okay, but good relationships are priceless, translating into a lifetime of business together. And relationships are built on trust. When you have a relationship with people who feel like they know you and trust you, then they’re ready to do business. In the old world of business, people built this relationship and trust by getting to know each other over the years. They would talk, see each other in action, and build a reputation of being trustworthy. Crazy stuff. 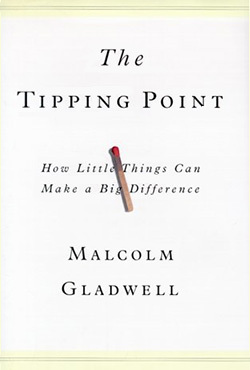 In his book The Tipping Point, Malcom Gladwell talks about how people connect with each other for trends like Hush Puppies to suddenly explode into our awareness. The conduits for these trends are varied, but always boil down to relationships, with people coming together and exchanging ideas, opinions, and information. The difference between ideas that fizzle and those that sizzle is how well these ideas are carried through relationships from person to person to person. For all of the changes in the world and technologies to connect with other people, we’re still looking for these relationships and we aren’t always finding them. The world of mass marketing often involves a tightly controlled one way communication firehose which doesn’t feel much like a relationship, or at least not a very good one. At its worst it isn’t a conversation, but more like being trapped in an elevator with someone who has bad breath and just doesn’t stop talking at you. We want out. The new world of marketing using media like blogs, YouTube, Facebook, and Twitter, is all about using new tools to create old-style relationships. We want to feel again like we are actually connecting with other people and businesses. We long for the sense of community. Maybe all of these Facebook friends and Twitter followers aren’t our neighbors and maybe our knowledge of them is limited to the size of our phone screen and 140 characters, but we feel like we’re reaching out and connecting with people. It is our new mobile village that we carry around in our purse and pocket. No wonder businesses want to be a part of our village. How do you build these old relationships with these new tools? Engage people, with humor, creativity, and honesty. And listen. A good relationship in business or the rest of life is about communication and understanding. People want to feel like you get them, that you understand them, and they can trust you. That’s why the world of marketing is changing, and why it isn’t. People don’t just want to be sold things, but to be engaged and listened to. I like the non-firehose approach to connecting with people in our mobile villages, and I like original content. Maybe it’s just me, but a gushing torrent of Tweets with forwarded links doesn’t feel much like a real connection with other people. Steely silence probably isn’t the way to go either. 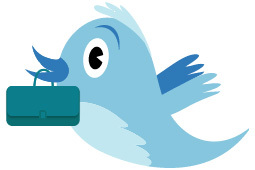 The potential of Twitter and Facebook is that you can feel like you’re connected to hundreds or thousands of other people, and it’s a two way street. People see your tweets and they read yours. People post on your wall, and they post on yours. If you want to get invited into our village, don’t be a rude guest. Join the conversation and contribute something interesting and original. The best videos make us feel like we are part of something that is being revealed to us, engaging us in conversation and making us part of the story. There might be a million other people watching the same video, but for a moment it feels like it’s just us. The Old Spice video campaign with Isaiah Mustafa (“I’m on a horse”) was a spectacular success not just because it was hilarious, but because it developed into a fascinating and highly public dialog. It felt like he was part of our personal village, talking just to us for a moment. We love celebrity Tweeters like Ashton Kutcher or Justin Bieber because of the possibility in an age of handlers and careful control of information that we’re seeing these people directly in real time with their guard down, as if we caught them at the supermarket in their sweats. CSR efforts and corporate sustainability help to build trust and relationships in your village, showing that your business is about more than selling things. Honest brands are good brands. In helping Volcom recently with their Give Jeans a Chance Campaign, collecting donated jeans to give to the homeless, I’ve learned how valuable sincerity can be in an effort like this, engaging people with an open, simple, and honest message. They’re not just talking about doing good things. They are doing them. Working with 3BL Media to tell your CSR story through their unique distribution network further boosts your relationships and amplifies your signal with the full range of social networking, videos, and other media. The bottom line is to say what you mean, and say it well. And don’t just say it, but do it. Don’t just market yourself. Build relationships. Be honest. Reach out to people, and they’ll reach out to you. And the business will flow from there. You see, things haven’t really changed that much after all, have they. Glenn Croston is the Green Business Doctor and the author of 75 Green Businesses and Starting Green, working with businesses everywhere to make green their favorite color, providing low cost and high impact consulting, training, and media outreach. Full disclosure–he’s been working with Volcom and 3BL Media lately, and he thinks they’re doing great things. Invite him to join your village. You can reach him at glenn.croston@startingupgreen.com and www.startingupgreen.com.